Baghdad (AFP) – Iraq has raised more than $700 billion from oil since 2005, but almost the entire amount has been spent, the central bank announced Tuesday. Fourteen people have been killed in clashes between security forces and demonstrators, frustrated over the lack of basic services in what has been ranked one of the world’s most corrupt countries. According to parliament the equivalent of $227 billion in public funds in Iraq, OPEC’s second largest crude exporter after Saudi Arabia, has gone missing through shell companies. Featured Photo: AFP/File / HAIDAR MOHAMMED ALI. 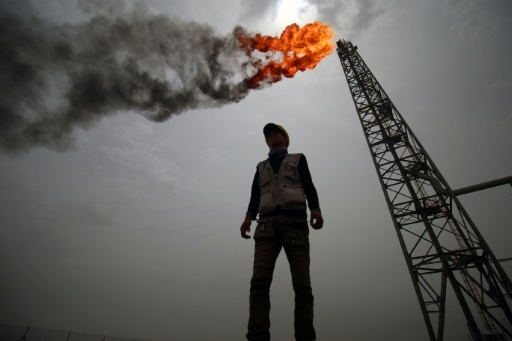 An employee stands at the Zubair oil and gas field, north of the southern Iraqi province of Basra on May 9, 2018.